It is a central school in a suburb of Athens, Ilioupolis. ΝΕΟ (12/9/2018): Συγχαρητήρια στους μαθητές και μαθήτριες της Ε' Δημοτικού (2017-18) για την εθνική και ευρωπαϊκή ετικέτα ποιότητας eTwinning που έλαβαν για το έργο τους 'Διαφορετικοί, αλλά ίδιοι'! 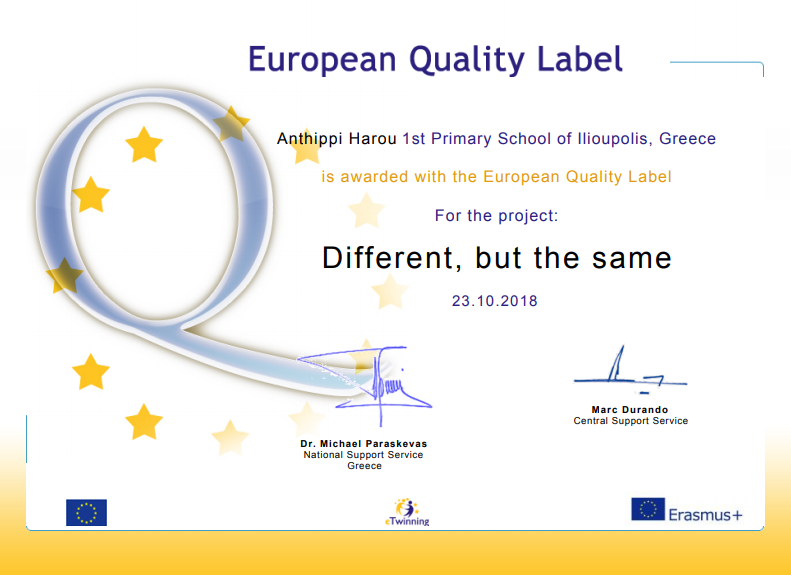 NEW (12/9/2018): Congratulations to the fifth graders of our school, who received the National and European eTwinning Quality Label on their project: 'Different, but the same'! 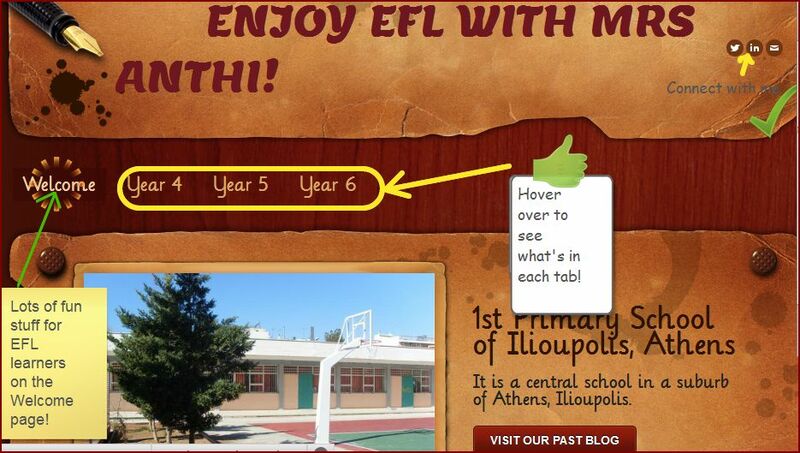 Welcome to our new EFL site, Mrs Anthi & her pupils! This school year we are trying to integrate technology in our EFL classes and we would like to share with our audience this awesome experience! Enjoy our fresh stuff! Another valuable resource for you to develop as an EFL learner is online books which boosts your reading skills. There are lots of free books to choose from on the net. You should try to find the ones which are appropriate for your level (neither too difficult nor too easy) and also of interest to you! Should the book be an audio one, you can benefit even more as you improve your listening skills﻿﻿﻿﻿﻿﻿﻿﻿! Here's an online 'library' I've prepared for you! Of course, you can search for more free books on the web yourself with the help of your parents! Here are some craft activities for you to do in your free time. Click on the small pictures and have fun with creating! Follow Anthi's board CRAFT on Pinterest. You can use this map to find different places all over the world! Follow Anthi's board Easter on Pinterest. 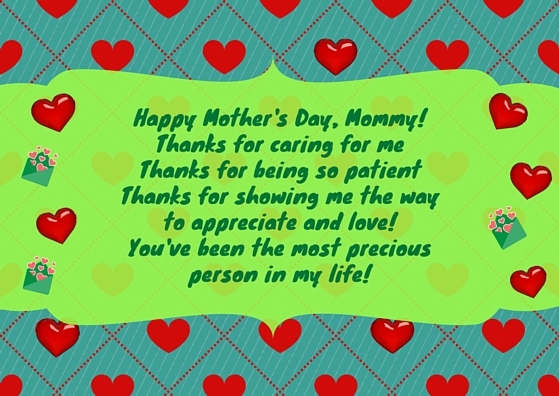 ☺ Offer your mum a special card on Mother's Day!  What can students do with technology? ☺ Improve your TYPING skills with this ﻿﻿GAM﻿E﻿.